The Global Wellness Summit (GWS), the foremost gathering of international leaders in the $4.2 trillion global wellness economy, is an invitation-only gathering that brings together leaders and visionaries to positively shape the future of the industry. The GWS delegates represent every sector in the wellness economy, including beauty and anti-aging, nutrition and weight loss, tourism, spa, fitness, medicine, complementary and alternative medicine, wellness lifestyle real estate, thermal/mineral springs and workplace wellness. Each year the three-day event, which is the largest conference on the business of wellness, is held in a different country and attracts over 600 delegates from more than 50 countries. Delegates are among the first to preview the latest research that impacts the wellness economy and attend an inspiring mix of keynotes, presentations, subject-specific panels, roundtables and networking events. The first Summit took place in New York in 2007. Thirteen years later, the event has spanned the globe in its mission to bring together top global wellness executives, traveling to key locations in Europe, the US, Asia, Africa and Latin America. In 2019, the Summit returns to Asia for the third time in its 13-year history and will take place at the Grand Hyatt Hong Kong from October 15–17. Since its launch, the Summit has welcomed many prestigious speakers, including the following: His Holiness, the Dalai Lama; Dr. Deepak Chopra; hotel visionary Ian Schrager; former AOL CEO Steve Case; actress and wellness pioneer Mariel Hemingway; 17th Surgeon General of the United States, Dr. Richard Carmona; renowned architect Bjarke Ingels; Lanserhof Group’s Dr. Elke Benedetto-Reisch; Dr. Andrew Weil; Thrive Global’s Agapi Stassinopoulos; Mindy Grossman, CEO of WW International; and the former presidents of Switzerland and Costa Rica. 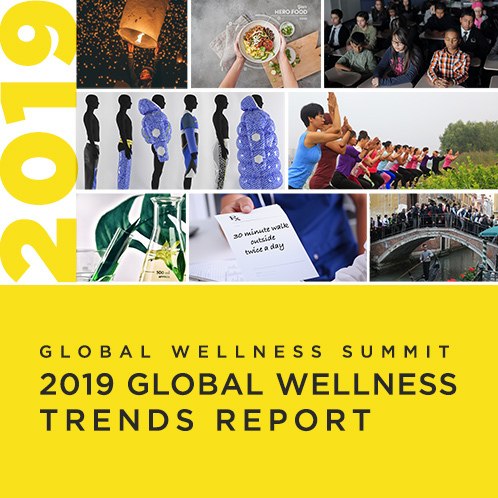 In 2015, the Global Wellness Institute (GWI), a nonprofit educational and research foundation, was formed and has since developed the most frequently cited, in-depth research on the wellness economy. The spirit of the Summit is one of shared purpose rather than individual gain, using the power of ideas to shape the future of the wellness industry. The focus is on collaboration between decision-makers from around the world who exchange ideas, debate and strategize for the greater good of the industry, consumers and the planet. Invitations are extended to a select list of top-level executives, academics, scientists, government officials, medical doctors and wellness experts throughout the world, representing a cross section of the industry and those influencing it. All invitees have either applied to attend or have been nominated and are approved based on their expertise, experience and leadership position. Founder and Managing Director, CatchOn & Company, Ltd.
President & CEO, Conceptasia Inc.